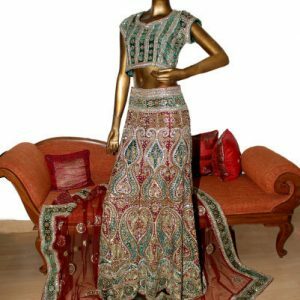 Tags: Blouse, Choli, Halterneck, Lehenga, Matching Embellishment, Nikah & Engagement, Silver, Skirt. 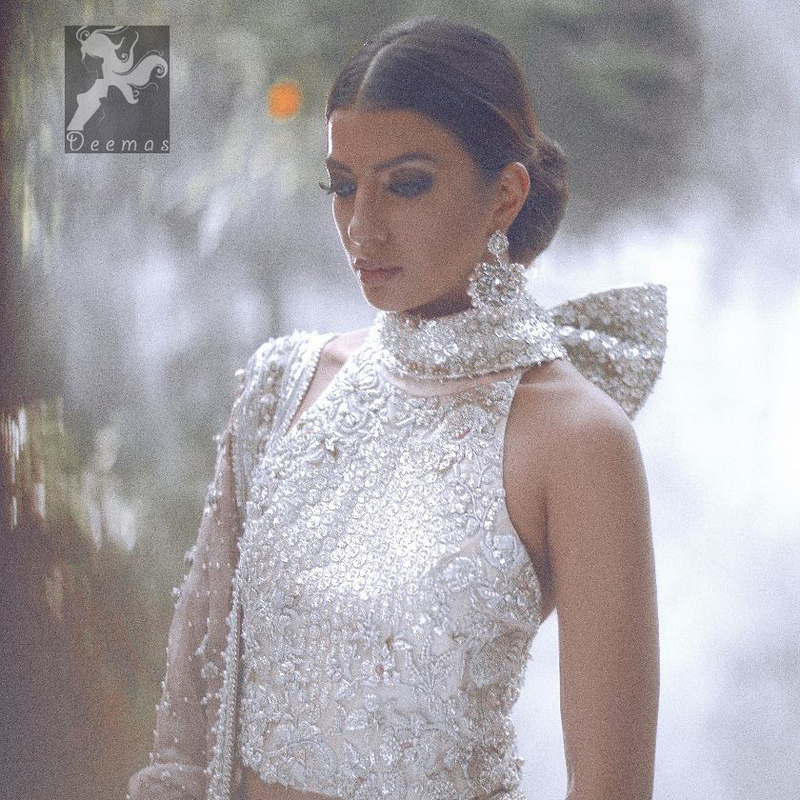 White choli / blouse having beautiful embellishment in white, silver and maroon brown. Halterneck design has been implemented on blouse / choli. 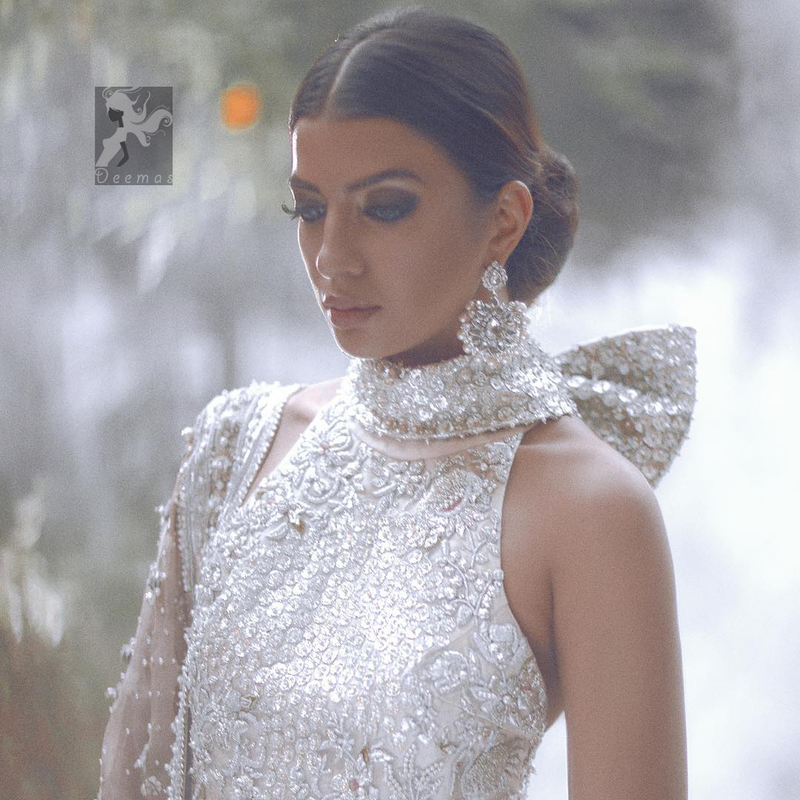 White lehenga / skirt having heavy embellishment. Blouse / Choli adorned with embellishment all over it. Floral and other style of motifs all over it. White, silver and maroonish brown shades of hand embellishment.